S/Sgt. Elbert C. Van Ostrum, son of Mr. and Mrs. Will Van Ostrum, graduated from Laing High School; husband of the former Edith Vernon. 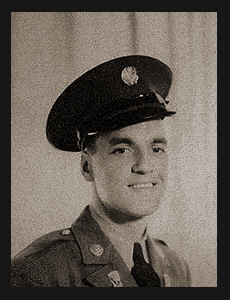 Entered Army in 1941, trained in Camp Grant, Ill., and Camp Forrest, Tenn.; served in England, Scotland, France, Belgium, Holland, Luxembourg and Germany; was discharged. Awarded Cert. of Merit, Good Conduct Medal.